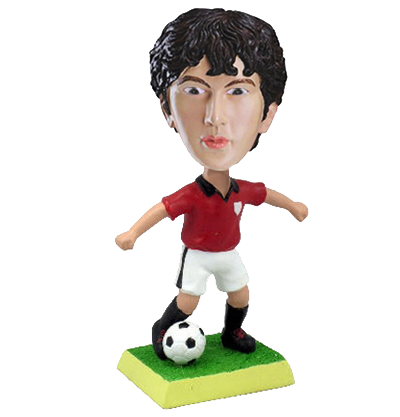 This personalized bobble head depicts a football player in red jersey and white shorts kicking a football to defeat the rival team. Needless to say, it’s a terrific statue to resemble a football fan’s lovely face. Do you have such a football loving friend? If you make it as a birthday or Christmas gift for him, he will be stunned by such a unique and fun bobble head. All you have to do is just pick his clear photo, the craftsmen will delicately sculpt a bobbling football player figurine for you.